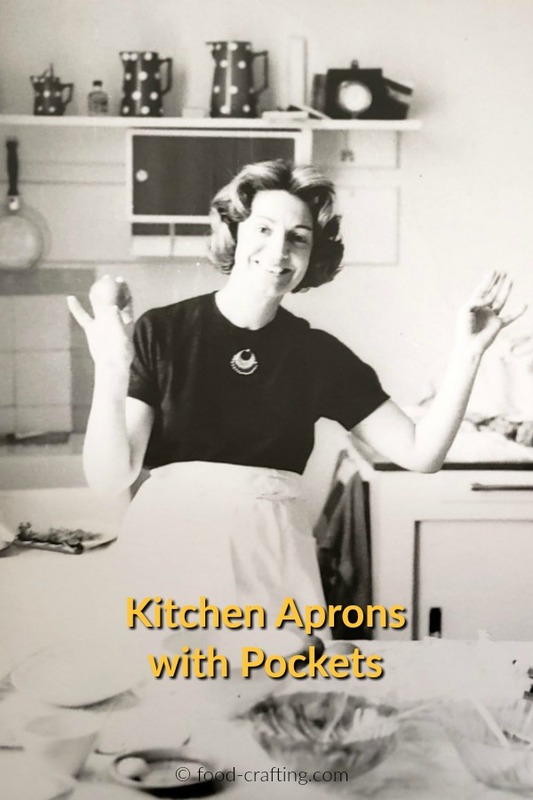 Kitchen Aprons with Pockets – All our family cooks had a favorite apron. 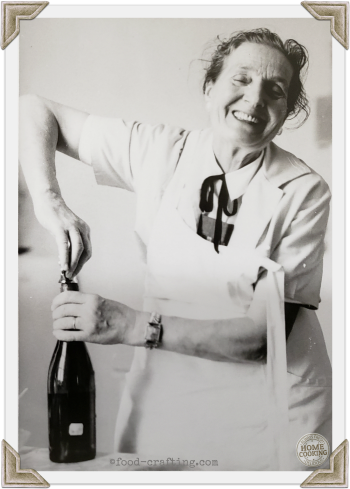 My grandmère’s apron was a simple white bib apron with string ties. My uncle’s mama always wore a flower print with a ruffled bib. Maman wearing her half apron with pockets. Mom wore a half apron because, magically, food never splattered on her clothes. My great-grandmother preferred a bib style apron. A vintage mini floral print. No frills. But once the aprons were tied securely, we all knew that great lunch or dinner recipes were about to take shape. Our Maman and grandmother are pictured here wearing their everyday aprons. What was the one thing all these aprons had in common? Pockets! Vintage grandmère! Ready to party. 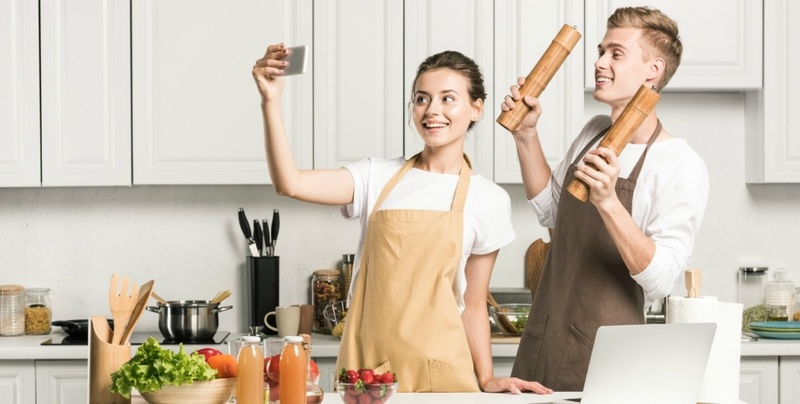 Everyone from the home cook and amateur chef to your favorite grill master and culinary student can use a kitchen apron with pockets. And… they make great housewarming gifts for any foodie. Sure, there are times when I just start cooking without reaching for one of my aprons. Invariably, that’s when I get splashed with sauce or splattered with fat from a frying pan! You could save an old long-sleeved shirt for the purpose but kitchen smocks and chef’s aprons belong in th kitchen. This lacy yellow apron looks more like a sundress. I’m not sure I could get into serious kitchen prep work wearing such a pretty and delicate apron. Aprons, plain or decorative, are a must in every kitchen but what cooks need are aprons with pockets! Pockets rock! I stash my spice and herb packs in one pocket and short wooden spoons, spatulas, timers, herb strippers, temperature gauges and other small gadgets in the other. Chef’s Coats, Bakers, Waiters, Bartenders, Sous-Chefs & Classic Styles in Floral, Stripes and Tile Jacquard. Sur La Table® has Aprons galore! Cooking – A La Mode De Chez Nous! Four generations of home chefs prepared meals in this small kitchen. Once upon a time, I used to gather kindling to fuel the wood stove. Spectacular dishes for breakfast, lunch and dinner were the norm even then! 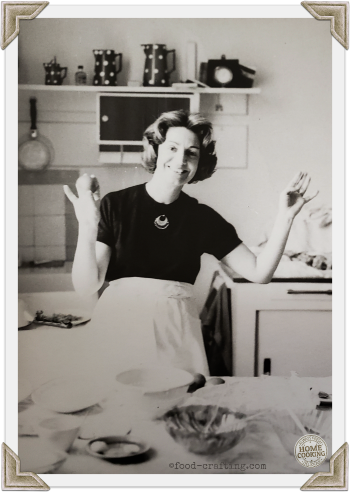 Then Grandmère decided she deserved a modern kitchen – new stove, a fridge, new everything. The kitchen is still in use and their aprons still drape the chairs around the table.